The U.S. Environmental Protection Agency (EPA) has issued new guidance for the implementation of some of the requirements of the Frank R. Lautenberg Chemical Safety for the 21st Century Act, passed in June 2016. The agency unveiled its plan for identifying and evaluating chemicals—new and existing; it published guidance for users or producers of chemicals who are required to submit risk evaluations to the EPA; and it detailed how it would handle the risk evaluation process for the first 10 chemicals it will review. 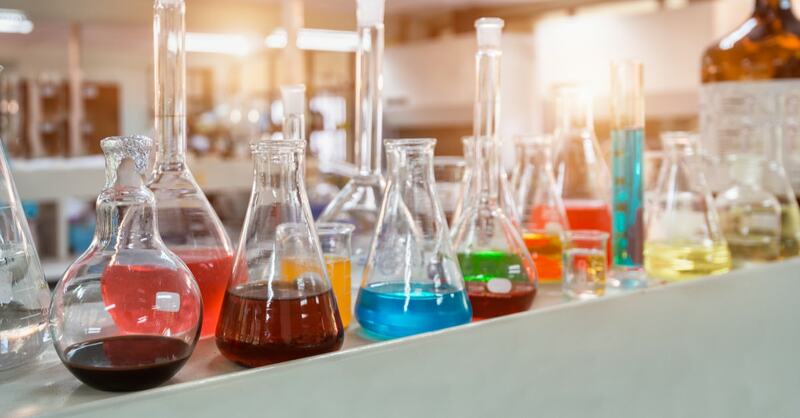 The EPA’s June 22 guidance addresses how it will evaluate and approve new chemicals and new uses of chemicals under the Toxic Substances Control Act (TSCA). It also clarifies how it will keep proprietary information confidential during the review process; discusses ongoing rulemaking and provides a view of proposed rules; reveals the scope of the evaluation parameters for the first 10 chemicals that will be reviewed; establishes the process and criteria for identifying and prioritizing chemicals for review; details its process for determining if high-priority chemicals present an unreasonable health or environmental risk; provides guidance to manufacturers and others on how to develop and submit draft risk assessments to the EPA; and sets forth a rule requiring industry reporting of chemicals manufactured, imported or processed in the U.S. over the past 10 years. The agency is still developing a rule on the collection of fees from chemical manufacturers, importers and processors to defray EPA costs of implementing the law. The most immediate of the rules is the inventory rule. Information provided by manufacturers, processors and others trafficking in chemicals will be used to identify the chemical substances that are on the TSCA inventory that are already in active use in the United States. If a chemical isn’t identified as actively in use, the EPA will list it as inactive, and it will not be permitted for use. The trick is knowing exactly what chemicals are in the products you manufacture so they can be included in the inventory of active substances. The inventory rule became effective June 22, and manufacturers have 180 days from that date to comply with the inventory submissions. Also of top interest to manufacturers is the “Guidance to Assist Interested Persons in Developing and Submitting Draft Risk Evaluations Under the Toxic Substances Control Act.” The document addresses the science standards, data quality considerations, and risk evaluation process that manufacturers and other parties should follow when developing draft chemical-specific risk evaluations for consideration by the EPA under the TSCA. Manufacturers can also request that the agency evaluate the risk of a chemical they produce. Part of the June 22 guidance is a detailed look at the components of a risk evaluation, which comprise the scope of the evaluation (what the EPA covers in its review), a hazard assessment (adverse effects of exposure to the chemical), an exposure assessment (how individuals and environments get exposed), a risk characterization (a qualitative and quantitative statement), and a risk determination. The Lautenberg Act amended the 1976 TSCA and required the EPA to prioritize and assess existing chemicals and manage identified unreasonable risks. It also required the EPA to develop guidance to help external parties, such as manufacturers, in submitting draft risk evaluations. The newly released direction fulfills the latter duty, though the directives “will likely evolve over time, and new relevant guidance documents will be developed as necessary,” the agency says in its announcement of the guidance in the Federal Register. The guidance is designed to “foster predictability by transparently communicating EPA’s expectations,” the announcement says. The EPA wants stakeholders in the chemical manufacturing and processing industry to participate in the public comment process. When the agency publishes a notice identifying a chemical’s priority, the public may comment for 90 days. Once a priority determination is made, the EPA will publish that, and the industry will have another 90-day comment period. Manufacturers are encouraged to develop and execute a game plan on inventory reporting, create templates for risk evaluation submissions, and become familiar with the EPA’s review process. Since the agency is likely to consider background or historical exposure information on chemicals, manufacturers should be prepared to endorse or dispute that data. If you are importing products, it might be difficult to know all the chemicals involved in your components. You will need to figure out how to identify and verify those because the EPA is going to want to know. Precision Manufacturing Insurance Services (PMIS), specialists in insuring manufacturers throughout California, can provide you with the insurance products you require, HR assistance and the loss control services you need to help manage your risk. We can also review your entire portfolio and advise you on other areas of business protection. Give us a call at 855.910.5788.
blog, California Manufacturers Insurance, Manufacturing Industry, Manufacturing Insurance Chemicals, Environmental Protection Agency, EPA, Manufacturers, Manufacturing, Manufacturing Industry, Manufacturing Insurance, PMIS, Precision Manufacturing Insurance Services, Toxic Substances Control Act, TSCA permalink.